BrightSphere Productions was founded by Norman B. Miller as a vehicle for conveying his vision of world peace through cooperative tranquility. Norman passed away in December of 2015 after a terrible battle with cancer. He was a staunch advocate of Planet Earth – caring for the environment and its inhabitants. He devoted many years of research to the healing powers of positive light, color and sound – what he called Electronic Alchemy. Remembrances of Norman B. Miller by Mary Ellen Bickford: Norman was born and raised in Hollywood, California. His life was influenced by the works of Walt Disney through his family friend Hamilton Luske, director and animator for Walt Disney Company. Norman moved to San Francisco in 1970 where he connected with the Bay Area artistic community. He became a member of the Garden of Delights Lightshow, handling the lighting for acts such as Jefferson Airplane, Hot Tuna and Virgil Fox. In 1975, Norman was instrumental in developing the Omegatron, a lighting projector that created a new form of visual meditation and chromotherapy. In the ensuing years, the Omegatron was distributed to discos worldwide. While performing lightshows, he realized what a powerful influence light, color sound and imagery could be. In 1980, Norman teamed with Mary Ellen Bickford to create Rainbow Research, Inc. They presented hundreds of shows and demonstrations of music, light, color and positive imagery using a three-projector system. Norman B. Miller will always be remembered as a major pioneer in the field of healing and uplifting through art. Master of the Mandala - a Tribute to Norman B. Miller from Mary Ellen Bickford on Vimeo. In this video, I present for the first time a recorded version of the visionary art piece “Pachelbel’s Canon in D” that Norman Miller visually performed in the early 1980s. Until now, it could only be viewed in the live performances that Norman gave for over 10 years, where thousands of people watched the show on Norman’s 9’ x 9’ rear projection screen as he mixed it in real time to the recorded music using his multiprojector slide machines. Before closing the show in the late 1980s, Norman and I rented a video production studio where we recorded the live show for historical preservation. In honor of Norman’s life and in giving thanks to all of the people along his way that supported his work with music, light, and imagery, we are sharing this amazing work of art by Norman B. Miller. 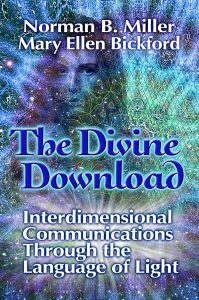 Norman co-authored a book with Mary Ellen Bickford entitled "The Divine Download: Interdimensional Communications Though the Language of Light" which covers many of the experiences, connections, accomplishments and visions of Norman Miller. Mary Ellen writes about herself: "I am an artist who loves to create. I am devoted to helping children, and to making this world a better place by helping to bring uplifting entertainment and education through the media. 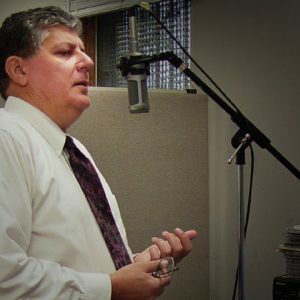 My life is devoted to bringing harmonious music to the world with my projects at Rising World Entertainment, DoveSong.com, and DonRobertsonMusic.com." 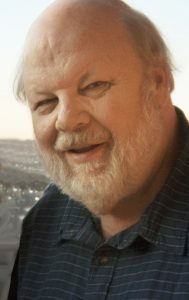 Richard Schletty, whom Norman mentored in the areas of digital cinematography and positive music, will endeavor to complete Norman’s unfinished work, Symphony of Oneness, which Norman coined as a "docu-opera." The movie music soundtrack has already been produced and published. Imagery and movie narration are under development. See the Symphony of Oneness section of this website.